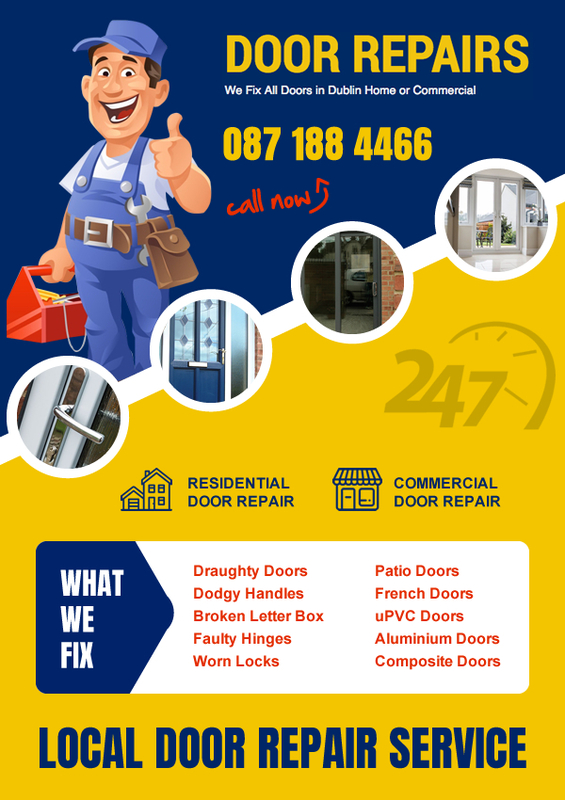 Door Repair Locations Dublin - Find Your Local Door Expert! Looking for a local door repiar expert in Dublin? You have found the right people! Choose the location that is closest to you and that door repair unit will come to you and repair any door problem you may be having. If you think any of the areas are not close to you location just give us a call anyway because I’m sure we can work something out! It’s not like us to leave anyone stuck! Need us in a hurry and can’t call us? Just click either button below and we’ll call you back within minutes dont worry about that! We’re quite good at following up and have the testimonials to prove it! Check them out when you get a chance..